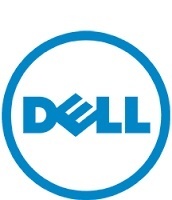 I have recently purchased the Dell XPS 15 9550,I have updated the BIOS firmware version to 1.2.14 and other driver (Chipset - Intel Serial IO driver),but it is still showing the in the Dell Support Assist software & using on line detect drivers. I am also having issue for partial black screen (only during Microsoft Outlook and other application works fine) or Outlook hanging after two to three hours, so I just close the Outlook and re-open and then it work fine, this happen two to three times during my working hours (Eight hours) and during this hanging or partial black screen of Outlook the other application works fine. - I also found in Dell community, where lot of customers are facing this issue and they were stating to change the motherboard and such cases they were stating to shutdown the PC, but in my case I never shutdown the laptop. I also checked my hardware Fn+Power and no issue found. Rather unfortunate that you are facing issues on a recently purchased machine. However, based on your description, the issue seems more likely an OS related as the hardware tests have passed. Regarding the drivers being listed on Support Assist or Auto Detect, if the drivers are already installed, then you could ignore it, as it might be a glitch / OS conflict. Secondly, the intermittent Outlook freeze / blank screen, since the issue is seen only with Outlook, have you set this up with a pst or ost? Enable the builtin admin account and check - http://bit.ly/1JoFhcw- this will help isolate if the issue is profile related or not.